If you’re hoping to host a weekend-long wedding, you’re going to need to find the right place to get your party on for three days straight. And while a resort in Mexico or a villa in Tuscany may sound like a dream come true, there are so many stunning locales right here in the United States that will knock your socks off. Here are 8 venues that were made for weddings that will last all weekend. This charming 500-acre estate in upstate New York is located just 70 miles from NYC, so your guests should have no problem getting there. Plus, there are eight (eight!) spaces on the property to choose from for everything from exchanging vows to dancing the night away. Want a view? Set up your ceremony on the mountain top. Love the lake? Say “I do” in the amphitheater. 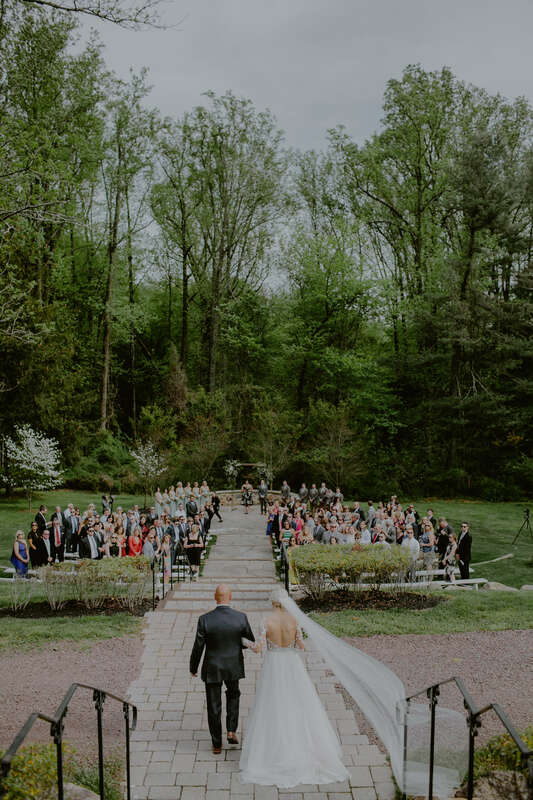 With rustic cabins and log houses that can house up to 500 guests, this Hudson River Valley locale is the perfect place to bring all of your favorites together for a weekend of wedding festivities. Nestled on the largest private beach in all of Key West, the Casa Marina Resort’s Grand Ballroom boasts ten-foot arched windows with jaw-dropping ocean views. Or, if you have your heart set on getting married with the sand beneath your feet, you can get married right on the beach! Plus, your guests can reserve a room in the hotel so at the end of the night, all they have to do is take an elevator up to their room. Hidden in the mountains just outside of Santa Fe, this beautiful, private estate is yours for the taking. Rent out the entire 65-acre property, including 9 furnished bedrooms, a full kitchen, and the most the most stunning mountain views you’ve ever seen, to enjoy a weekend of neverending fun with your nearest and dearest. Bonus: the resort is dog-friendly, so pack the pups! 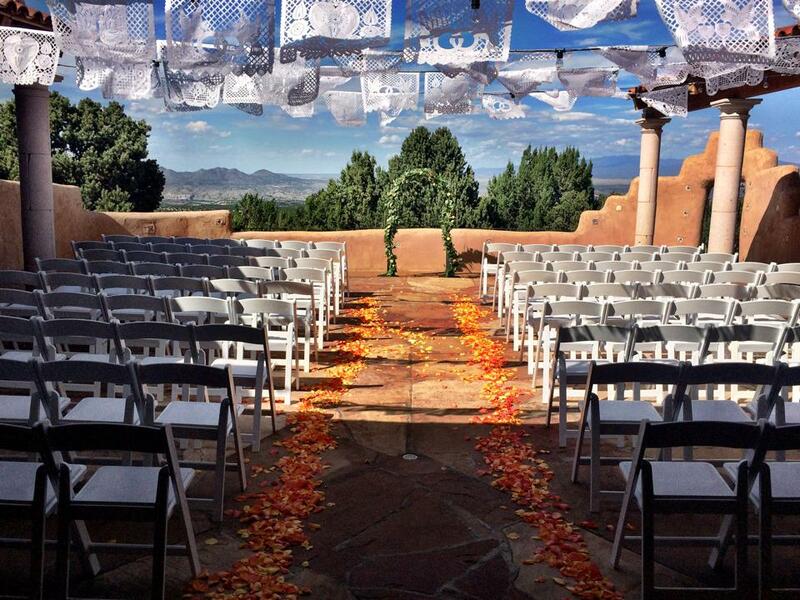 Located 500 feet above Sedona, this venue guarantees great views of the town’s infamous Red Rocks. Host you ceremony on the Lookout before transitioning into cocktail hour as the sun sets (get ready for some amazing colors). 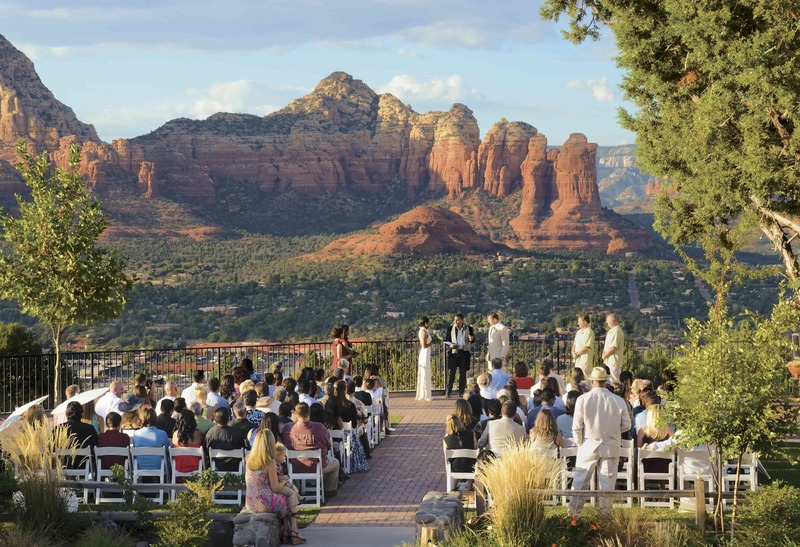 Guests can settle in for the weekend in one of the hotel’s private cottages and can set up jeep tours and vortex viewings to enjoy all that Sedona has to offer before (and after) your nuptials. 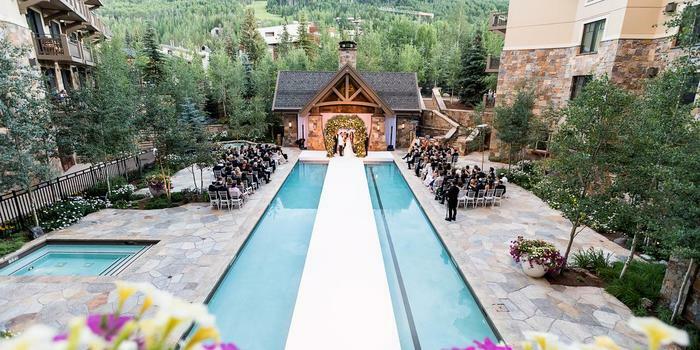 If you’re dreaming of a winter wedding, consider getting hitched in Vail. This luxury hotel offers breathtaking Rocky Mountain views from just about everywhere on the property (including your guests’ rooms). Plus, if the weather cooperates, you can host cocktail hour out on the heated terrace. There’s also a salon on site, which will make for some fun pre-wedding prep with the girls. Treat your guests to a weekend in Pennsylvania’s wine country on this 50-acre estate in the Brandywine Valley. The venue consists of a restored 1750’s barn, an amphitheater (hello ceremony spot! ), and about fifteen gorgeous guest accommodation’s. The Georgian manor house next door to the winery has seven rooms (perfect for your wedding party) and there are 8 cottages of various sizes spread out across the property (some are even kid- AND dog-friendly!). Set on the shores of Lake Erie, this winery offers delicious local wines, a relaxing spa, and views for days. 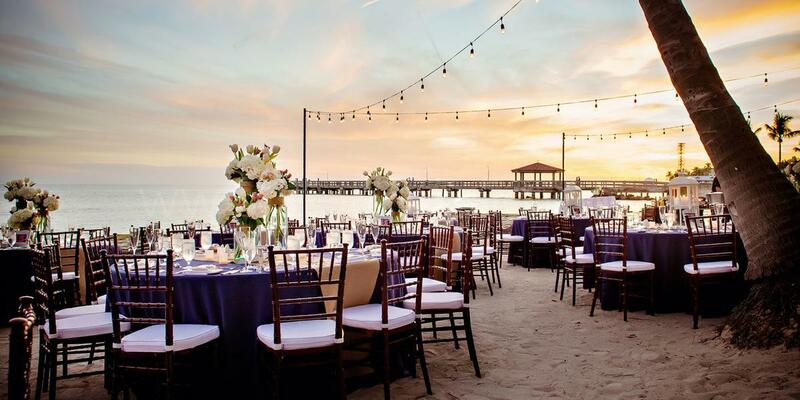 You can say “I do” right on the beach or take in the sunset over dinner and drinks out on the venue’s outdoor patio. Invite your bridesmaids, groomsmen, and closest relatives to party with you all weekend by booking one of the property’s eight guest rooms or two cottages. 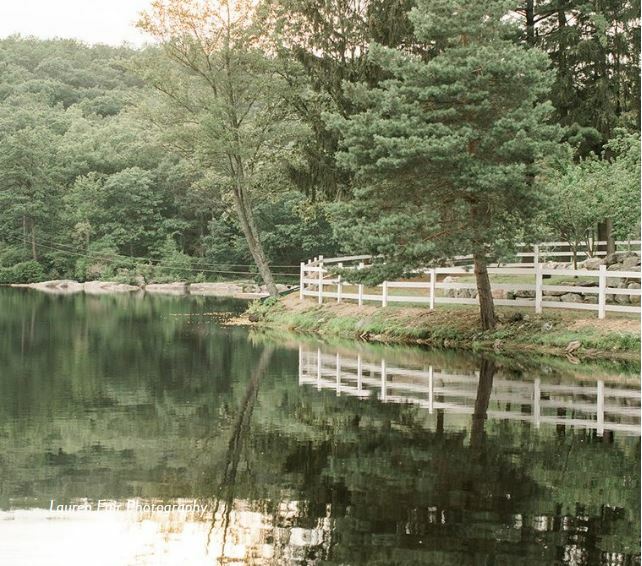 If you’re planning a small wedding, The Audubon Cottages are a must. Located in the French Quarter, you’re just steps from the hustle and bustle of Bourbon Street and Jackson Square. 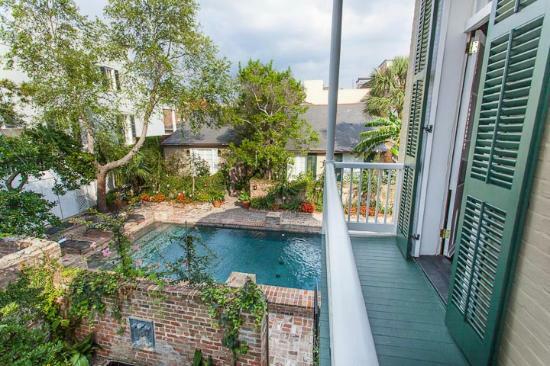 There are seven cottages onsite (one and two bedroom suites), each overlooking a saltwater pool (said to be the oldest in NOLA!) and lush foliage. Exchange vows inside the main Garden House and then let guests enjoy a cocktail reception in the courtyard. Need more space for your guests? The Dauphine Orleans Hotel (where your guests will check-in and park) is located just a block away. Are you planning a weekend-long wedding, Loverlies? Where are you hosting all your guests? Share your experiences with us in the comments! Find more wonderful wedding venues on Lover.ly!